GTA 5 is the direct heir of GTA San Andreas and contains all the best from the past development of Grand Theft Auto and other games Rockstar Games. In this Grand Theft Auto V is not a continuation of any part. Developers came up with a brand new huge game world with many opportunities. Rockstar and think about the future of their game. 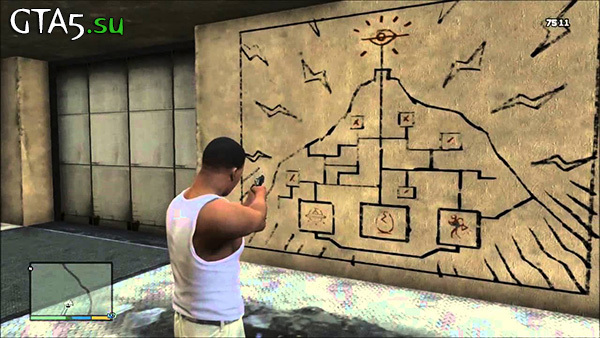 Immediately after the release of September 17, 2013, it became apparent that the story part of GTA V will be complemented in the future content. Some of these add-ons designed for GTA Online. 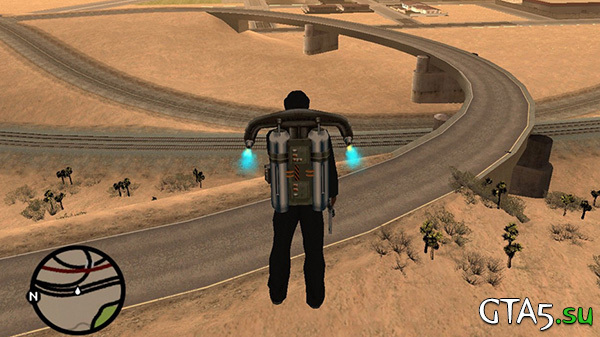 Recently, players have started to actively discuss the opportunity to fly in GTA 5 jetpacks. 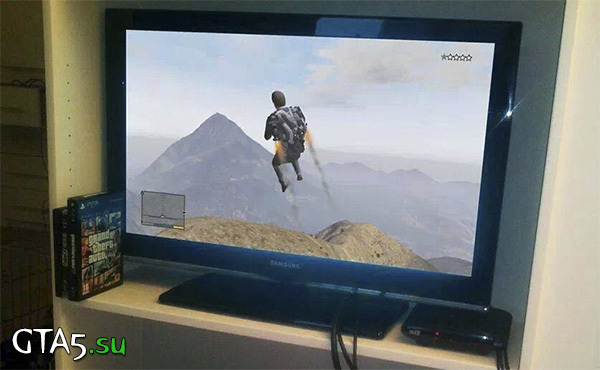 Jetpack was in GTA San Andreas, and was popular players. With it, you can quickly move from one end of town to another, thus to control dzhetpakom not require special driving skills aircraft.